When home recycling is concerned, the kitchen reigns supreme. Here is where most of the waste gets disposed and where all the recycling bins can be found, but there’s another important center filled with recyclable items in your home: the bathroom. Research shows that even among families that are consistent recyclers, only 20% of Americans recycle bathroom items. It’s not certain why most people overlook bathroom items, like containers and packaging and other materials that can usually be recycled, but what’s important to note is that these items comprise a healthy chunk of your entire recyclable waste. 1. Shampoo, bodywash and mouthwash bottles. These bottles are typically made of plastic of various quality, and can be either opaque, as most shampoo bottles are, or transparent, like bodywash bottles. 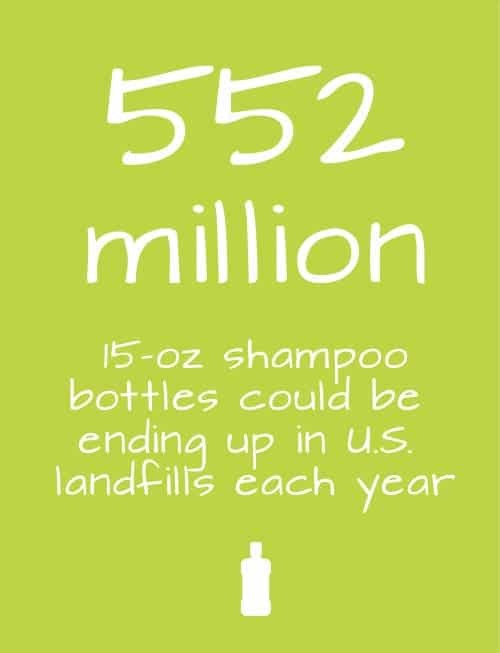 Opaque bottles are usually made of #2 plastic (High Density Polyethylene, or HDPE), which is accepted by most recyclers. Number 2 plastics can be recycled into building materials like lumber or fencing, office supplies like pens, or more bottles. Clear bottles are made of #1 plastic, also known as PET, which is the most useful plastic for recycling. Number 3 plastics aren’t accepted by most recycling vendors. 2. Pill and Medicine containers. These come in many shapes and size, as well as different materials. Whether these containers are meant for prescription pills or liquid medicines, you’ll notice that manufacturers use a variety of materials, most common being: #1, #2, #3, #4 and #5 plastics. As read above, it’s best you only collect #1 and #2 plastics, but you might as well check the bottom of your containers, see what kind of plastic it’s made from and check with your local hauler. Also, don’t forget to take the caps off and dispose of them separately. 3. Cardboard packaging. Bathroom items, especially beauty-care products, are marketed extremely aggressively to consumers and most of the time come in much larger packaging than they have to. Consequently, you might find your 5″ soap wrapped in a 10″ cardboard box. Cardboard is cardboard, and any hauler will take them in. Aren’t you forgetting something? Yup, the tube that your toilet paper and paper towels came on – recycle those too! 4. Plastic films and wrappers. There’s packaging and there’s packaging for packaging. Remember to dispose of the plastic wrap that your cotton balls, toilet paper, diapers and other products come in a special container. Thing is, these will most likely be rejected by local curbside program, but chances have it you can find drop-off locations that accept plastic wraps by searching online. 5. Toothbrushes and toothpaste tubes. These are among the hardest to recycle products, but there are organizations that will collect hard-to-recycle household items like toothbrushes. 1. Add a recycle-bin to your bathroom. I’m not saying you should litter your home with sorted recycle bins, but from experience having a recycle bin in your bathroom will cut you a lot of slack and will make recycling easier and handy. The more convenient, the easier it will be. 2. Post reminders. A simple post-it stuck to your bathroom bin or even on the corner of your bathroom mirror reminding you to use the bin whenever you want to throw something away will help you a lot. This way, you create mental anchors that aid in meeting your recycling goals. 3. Buy easy to recycle items. Check the back of the products you want to buy for your bathroom – are they easy disposable plastics? Once you find products you like, with packaging that’s recyclable, keep restocking with those specific products so that you won’t have to keep checking if they’re recyclable. 4. Involve friends and family. Most likely, you’re not living alone, so make sure your spouse, kids, relatives or roommates are aware of your recycling wishes.